MUMBAI (Reuters) - Tata Consultancy Services Ltd , India's top software services exporter, on Thursday reported a record quarterly profit helped by gains in its key banking, financial services and insurance (BSFI) division and said it was well positioned for 2019 with a strong pipeline of client orders. TCS, considered the crown jewel of the salt-to-autos Tata Group, kicks off the December-quarter corporate earnings period for Indian businesses with rival Infosys Ltd scheduled to report on Friday. 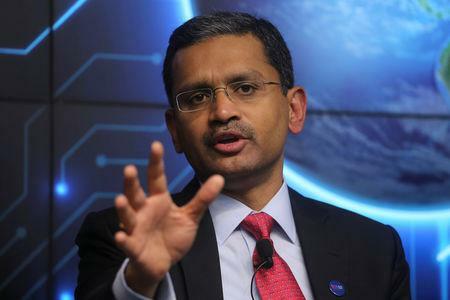 "Overall a strong quarter to wrap up the calendar year and a strong pipeline and strong order flow that sets us up nicely going into the new calendar year," Chief Executive Rajesh Gopinathan told a news conference. Demand for TCS' banking and insurance services is strong in the company's biggest market of North America, Gopinathan said. Uncertainties such as Brexit could affect clients' tech spending in continental Europe and Britain, but Gopinathan said while it was difficult to predict how macro factors would play out the company was actively taking up opportunities in that region. TCS' digital revenue - from services such as cloud, analytics and big data - grew nearly 53 percent year-on-year and now makes up 30 percent of its overall revenue. "It's (digital) well beyond that tipping point and we are likely to see very sustained demand on it," Gopinathan said. India's $154 billion IT industry as a whole is benefiting from moves by traditional businesses to transform their legacy systems to compete effectively against more nimble start-ups globally. 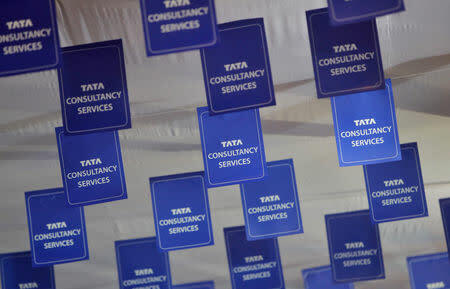 TCS, India's biggest listed company by market capitalization, reported a net profit of 81.05 billion rupees ($1.15 billion) for the three months to end-Dec, a seasonally weak quarter for Indian IT firms due to year-end holidays in major Western markets. This compared with 65.31 billion rupees a year earlier. The company's revenue rose 20.8 percent to 373.38 billion rupees, while revenue from its biggest business, BSFI, surged 23 percent. TCS shares closed fractionally higher compared with the broader Mumbai market <.NSEI> which ended down 0.31 percent.